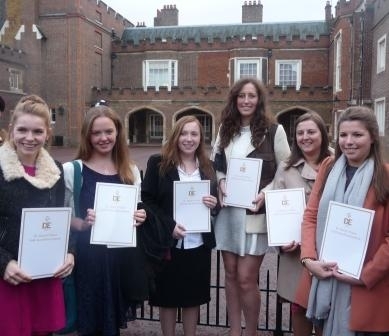 A number of former pupils went to St James’s Palace earlier this month, to be presented with their gold awards. This was a special award presentation because it was the 500th and therefore the Duke of Edinburgh was present along with Sue Barker as the celebrity guest. Congratulations to all of the girls who achieved their awards!